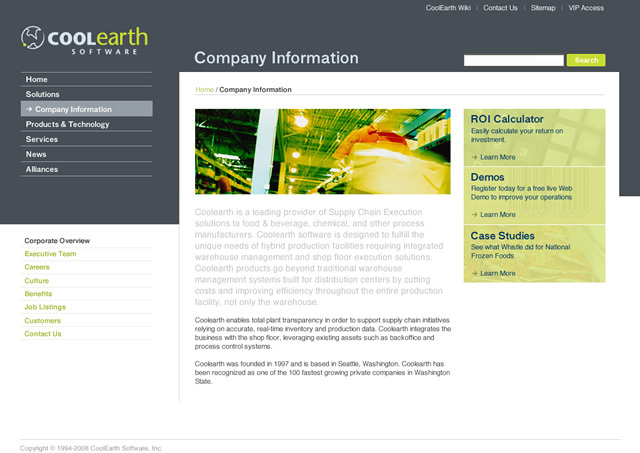 Coolearth develops supply chain execution software solutions. 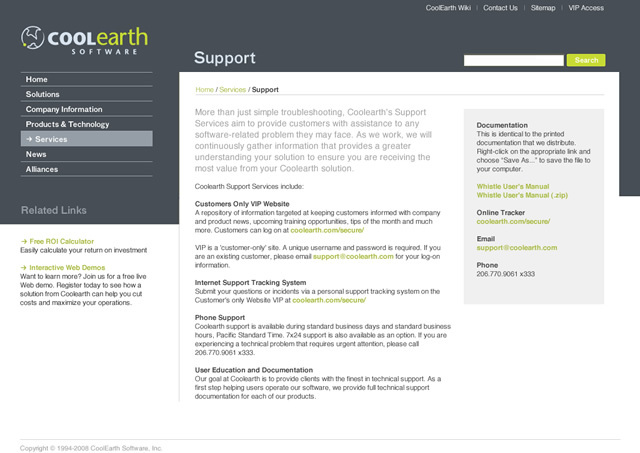 Their website had been languishing for years and seriously needed to be brought into the 21st century. After reviewing branding and IA we created a fresh look and feel, hooked up a CMS, and added compelling features like ROI calculator. 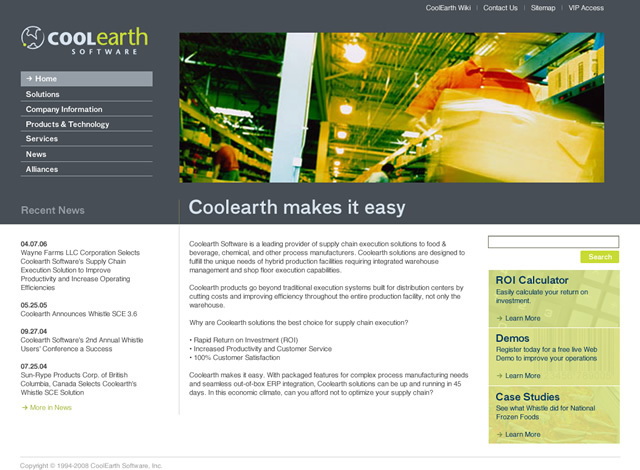 Coolearth now has a website they are proud to show their clients.